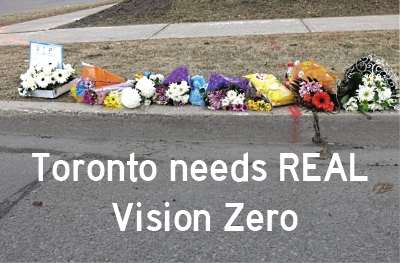 Vision Zero Canada is a traffic safety advocacy campaign that can only be sustained with your support. Receiving a little money from a lot of people will enable VZC to maintain an independent voice, avoiding the restrictions imposed by corporate sponsors and government granting agencies. You can see an overview of VZC history and impact here. You can give to Vision Zero Canada by following the instructions on our donation page. ♦ Give $30 or more, or make a monthly donation via PayPal, to be listed on this page through the end of 2018. This will include a link to the site of your choice, and a weatherproof sticker for every $10 donated. If you choose to remain anonymous you can still get stickers. ♦ Give $50 to receive six stickers, including the option of resellable bike sticker multipacks valued at $10 each. This is a good option for local retailers and advocacy groups looking to support VZC and recoup costs. 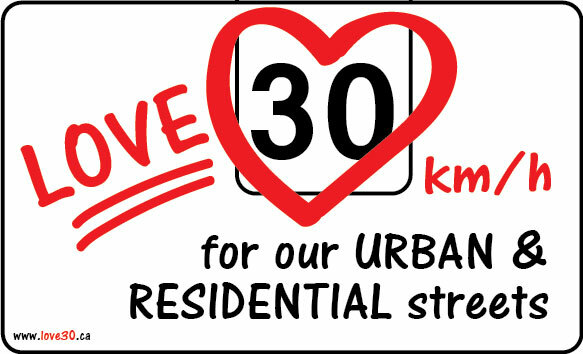 ♦ Give $150 to receive 20 stickers (or bike sticker multipacks) and a clickable banner on this page. Sticker retailers will be marked with a ⭐. For a list of our founding (2016-2017) sponsors go here. $10 ( ❤❤❤ !!) Michelle Tribe, Ottawa, ON. UPDATE: Now it's $10 per month from @KittyBroadway to support this site, & others including @Love30ca @slowottawa @DroptheAword.